The Nominating Committee is looking for members for the following committees: Coordinating, Quarterly Gathering Planning (which is also the committee that plans Yearly Meeting Sessions), Finance, and the Abuse Prevention Task Force. Go to this link to get more information about each committee or working group: https://www.scymfriends.org/committees-working-groups. If you would like to apply to be a member of a committee, please fill out the form at this link: https://www.scymfriends.org/nominations-form. The committee terms begin at Yearly Meeting and run for three years. If you have questions, contact nominating@scymf.org. Do you feel called to visit another yearly meeting during their annual sessions this year to form relationships with other Friends? If you would like to be a representative of Sierra Cascades Yearly Meeting of Friends, please email the clerks at clerks@scymf.org. We are specifically looking for representatives to North Pacific Yearly Meeting in McMinnville, Oregon, July 17-21, and Northwest Yearly Meeting in Newberg, Oregon, July 21-24. If you feel called to visit other Quaker Yearly Meetings, we would welcome those as well. If you know of someone who will be visiting our annual sessions, please let the clerks know at clerks@scymf.org. Yearly Meeting happens because we all participate. As you register for Yearly Meeting, please consider how you might volunteer. We need people to help provide an hour or two of childcare. We need people to help with the sound board, to write the epistle, and to drive the golf cart for mobility-impaired people. We need chaperones for the teen cabins. When you fill out your registration form, please tell us how you would like to help. If you have any questions about any of these, email registrar@scymf.org, and we will put you in touch with the person who can answer your questions. Our next Annual Session has been scheduled for May 24–26, 2019 (Memorial Day Weekend), at Canby Grove. Registration materials and conference information are now available online. Musicians are welcome to join with Ruthie, Ruba, and Derek in leading worship at Annual Sessions on Saturday and Sunday mornings! Please contact Ruthie Tippin at ruthietippin@gmail.com if you’re interested. Bring your heart, your voice, your instruments! 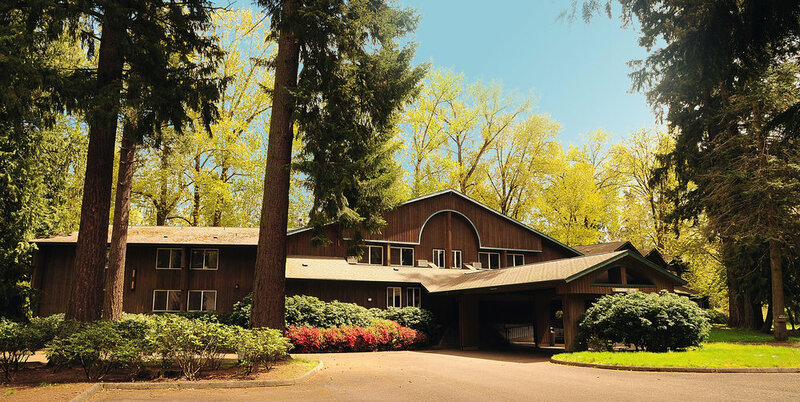 Ben Lomond Quaker Center is eager to welcome students entering 5th–9th grades for Quaker Service and Art Camp from June 22–29, 2019. Find out more: http://www.quakercenter.org/youth-camp/. Musicians are welcome to join with Ruthie, Ruba, and Derek in leading worship at Annual Sessions on Saturday and Sunday mornings! Please contact Ruthie Tippin at ruthietippin@gmail.com if you’re interested. Bring your heart, your voice, your instruments! Benigno has just finished up his four-year service as clerk for Friends World Committee for Consultation (FWCC), Section of the Americas. A native of Cuba, he currently teaches at Amherst College in Massachusetts. In collaboration with Susan Furry, who is also a New England Friend, Benigno just finished translating Barclay’s Apology into modern English and Spanish. Their extensive translations of the writings of early Friends can be read at http://www.raicescuaqueras.org. To register for annual sessions, go to https://www.scymfriends.org/annual-conference. See you there! Have you ever been present when someone was being bullied, harassed or even attacked and you wanted to help but you didn't know what to do, and perhaps you did nothing? You're invited to attend a Bystander Intervention Training, this Sunday, April 7, from 12:15-4:15 PM, at Multnomah Friends Meeting. Click here for more information. As most of you heard during our February gathering, Roger Watson gave notice of his resignation effective immediately following Annual Sessions in May. Roger felt a strong call to provide transitional leadership as we embarked on becoming a new yearly meeting; which has been completed! He was involved with the effort to obtain our 501c3 status, he advocated on our behalf to receive seed funding from NWYM, and he also established our accounting systems and processes to ensure the ministries of Sierra-Cascades Yearly Meeting of Friends (SCYMF) would continue to thrive. On behalf of SCYMF, I would like to express our deepest gratitude for all of these efforts. Thank you for not only helping us find our footing, but also for paving way forward for miraculous good works to come. In response for SCYMF’s need for a new treasurer, Robert Wade, member of West Hills Friends, has been nominated to assume the role of treasurer for SCYMF. He brings a wealth of experience and expertise in his roles as treasurer for West Hills and as a seasoned actuary. As part of the discernment process we are providing opportunity for all to give us affirmations and/or concerns about this appointment. The Psalmist speaks from deep down. Among many other possible objects of devotion, other causes, other "solutions" and quick fixes, other gods, other things to which our world invites us to give allegiance, the Psalmist seeks and clings to God above all else. More vividly, the Psalmist thirsts for God, drawing on imagery that may to an extent be lost on many of us who can conveniently turn on the faucet or open a plastic bottle when we need a drink of water. How do these words give language to your own spiritual experience, if they do? Do you seek God? Do you thirst for God? Do you cling to God? How is your experience of seeking, clinging to, or thirsting for God lived out in a way others can observe and experience? Quaker men from churches and meetings throughout the Northwest will gather at beautiful Camp Tilikum, March 29-31. Their 2019 theme is Identifying, Sharing & Living Into Spiritual Gifts. Click here for more information, or you can click here for a registration form. Detection of learning needs such as ADHD, autism and learning disabilities has advanced in recent years along with classroom accommodation methods. Join this conversation to discuss how to welcome children with special needs and their families into Quaker religious education programs, while also serving the class as a whole. Join one of these online conversation circles to explore how to create a sense of beloved community and divine connection for children with learning needs and their families. Registration is required. See below! How can Quaker RE programs prepare to serve children with learning needs? How does Quaker faith and practice speak to classroom inclusion? How can we welcome children with special needs while also serving the class as a whole? What inclusion methods are effective for small RE programs? Paul Buckley will lead a retreat at the Ben Lomond Quaker Center, March 19–24, on Quaker Revival: We will consider how Friends today are called to model a covenant community. We'll look at which outward behaviors speak to today’s conditions and what Quaker practices might need to be scraped away and discarded. Find out more and register early. Some folks at West Hills have started a new, weekly micro-podcast called “Quaker Poets Read.” We are hoping to feature one poem every week! Interested? Click here to see the instructions! Berkeley Friends Church hosts Quaker Heritage Day each year, inviting a scholar to share about a topic of interest to Friends. Programmed and unprogrammed Friends from around the Bay Area attend the event. Every other year, this event occurs in concert with the Western Association for the Religious Society of Friends (WARSF) annual gathering of members, so Cherice was able to attend both events. Click here to read Cherice’s full report. The Quarterly Gathering Committee is looking for someone to coordinate childcare volunteers for Annual Sessions. The individual would be responsible for scheduling the volunteers who will fill in with the paid staff for childcare. The childcare coordinator needs to pass an SCYMF background check. Scholarships are available to help with room and board if this is needed. Please contact Terri Beardsley terrib at me.com or Rachel Hampton hamptonrachel2002 at outlook.com. After being gone about three weeks, I stopped to see my two godchildren. Three-year-old Timothy came to the door and excitedly exclaimed, “Dorty! Dorty!” He gave me some big bear hugs then ran off to play. A few minutes later he came running to where I was sitting, threw his arms around my neck and repeated, “Dorty, Dorty!” He did this three or four times. Each time it was as though he had just discovered me. Of course, this warmed the cockles of my heart. As I drove home, it occurred to me that our God would be pleased if we also would come with such spontaneity and delight. We would simply exclaim, “Lord, Lord, I’m so glad you’re here,” and we would revel in God’s presence. We wouldn’t come with the usual list of requests. It would be a natural, unsophisticated communion with our God, just saying, “Lord, I love You.” We would be practicing the presence – not planned, not organized, just spontaneous outbursts of praise and delight because God is there. The psalmist said, “Blessed are those who have learned to acclaim you, who walk in the light of your presence, Lord. They rejoice in your name all day long” (89:15–16). On my drive home I had some time at the table – a very informal time to acknowledge God’s wonderful presence. Brian Drayton will lead a retreat, “Dwelling in Watchfulness: a Weekend for People with a Concern for Ministry” the weekend of March 15–17, at Friends Center in Barnesville, Ohio. Email Ken Jacobsen (kenkatharine@earthlink.com) for more information. Our next Annual Session has been scheduled for May 24–26, 2019, at Canby Grove. Registration materials and conference information are now available online. Did you attend quarterly meeting at West Hills? The task force for the discussion would like your feedback. Click here for a very brief survey. Thank you! One of the features of Recording in Sierra-Cascades Yearly Meeting of Friends (SCYMF) is that following clearness of the candidate and the Committee for the Nurture of Ministry, there is a 60-day comment period. This is an opportunity for all of us to give affirmations and/or concerns. The author of the feedback must identify themselves and give contact information to the committee in case further conversation is warranted. However, upon request, any identifying details in the content of the messages and the identity of the person providing feedback will be held in strict confidentiality by the committee to be shared with none other than emergency response professionals in the case of imminent danger or a reportable offense. Cherice Bock is our first candidate. Click here for more information. Commenting is open through April 23, 2019. The Quarterly Gathering Committee met on Saturday, February 16, prioritizing work on the upcoming Annual Sessions, scheduled for May 24–26, at Canby Grove. Click here to read the full minutes. Registration materials are now available online. The Nominating Committee met on Saturday, February 16, to work through the names of all committee and task force members whose terms are ending, to discuss possible renewals, and to consider new nominees. Click here to read the full minutes. Cascade Church Portland, Newberg Emerging Friends, and North Valley Friends are teaming up this summer to offer a Jesus-centered camping experience for 6th–12th grade students. One of their primary purposes will be to create and foster a safe, trusting, and caring (aka: Christlike) community that brings to life the fruit of Jesus’ Spirit. Every camper, counselor, teacher, and director will be affirmed as a child of God regardless of age, race, ethnicity, gender, or sexual orientation. Picture yourself in the foothills of the Three Sisters, overlooking Suttle Lake. Your schedule includes a hike in the surrounding forest, team bonding at the “Spider’s Web”, Slip N’ Slide Quidich, and a Lip Sync Battle. Each night, you lay in your bunk with the smell of campfire and Smore’s in the air, settled in a peace that comes from an evening gathered in community, attending to the Presence of Jesus and learning to listen for the Voice of Love. How does that sound? Both camps (“Fireside” and “The Woods”) will be taking place at Suttle Lake Camp in Sisters, OR during the same week. If you’re interested in volunteering at camp, please give Josh a call [503.537.6894]. Sierra-Cascades Yearly Meeting of Friends (SCYMF) recognizes the incredible responsibility we have to protect the physical, emotional, and spiritual well-being of young people and vulnerable adults in our community. We recognize that having a policy is just the first step in protecting young people and vulnerable adults from harm. It is our hope that this policy will be the springboard toward creating a culture at SCYMF of safety and vigilance toward preventing abuse of everyone in our community. Click here to read the full draft policy. Proposed revision for the confidentiality portion of the recording process: “The committee then initiates a 60-day period in which folks can give feedback to the committee. These may include positive affirmations and testimonials, cautions and concerns, or reports of problematic behavior. Click here to see the full recording process. Drawing on the ancient themes of death, rebirth and resurrection, how can we, as religious educators lift up a Quaker understanding of Lent, Easter and Passover? The mystery of this season, while not easy to enter, can lead to personal and social transformation if the way is prepared. Join one of these online conversation circles to discuss the challenges posed by the sacred stories of this season; to learn from others and to share successes and promising practices in your meeting. How do we come as contemporary Friends to the ancient themes of death, rebirth and resurrection? How can we, as religious educators open the way to a Quaker understanding of Lent, Easter and Passover? How do we prepare ourselves to enter the mystery and carry something of Easter beyond the holiday in a way that feels authentic and faithful? How can we care for families holding multiple faith traditions only one of which is Quaker? Quarterly Gathering will be at West Hills Friends Church tomorrow, February 16, 2019. West Hills Friends is located at 7425 SW 52ndAve, Portland, OR 97219. Click here for the full schedule. Quaker Heritage Day 2019 at Berkeley Friends Church, Saturday, February 23, 2019, 9:00am to 3:30pm. “The Prophetic Voice of John Woolman” presented by Jon R. Kershner, Ph.D. Click here for more details. Brian Drayton will lead a retreat, “Dwelling in Watchfulness: a Weekend for People with a Concern for Ministry” the weekend of March 15–17, at Friends Center in Barnesville, Ohio. Brian shares the following words of invitation: “This weekend offers a rare opportunity to gather with Friends from several yearly meetings to explore our experience, our challenges, our joys, and our growing edges in the service of gospel mnistry. If you cannot come, please encourage others to consider it — especially younger ministers.” Email Ken Jacobsen (kenkatharine@earthlink.com) for more information. 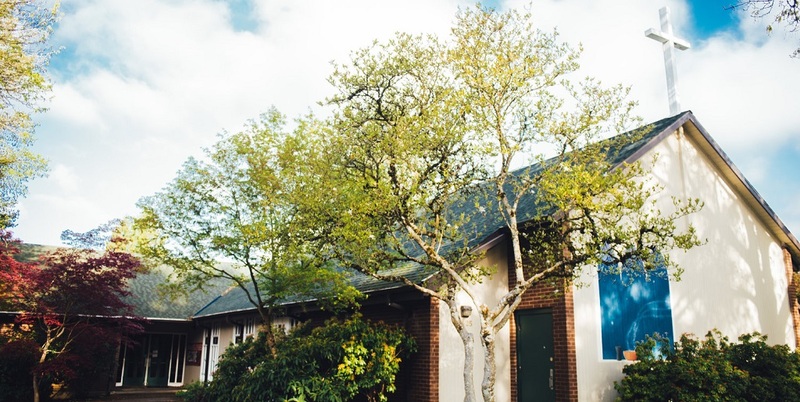 The second annual Pastors Conference will be Tuesday, April 23rd (noon), to Thursday, April 25th (noon), at McMenamins Edgefield (2126 SW Halsey St, Troutdale, OR 97060). We intend to create a space for ministers to continue building supportive relationships with each other, to verbally reflect on our respective ministries and receive encouragement, and to listen to how the Spirit is working in our congregations and in SCYMF as a whole. All are welcome, keeping in mind that discussions will focus on the joys, challenges, and possibilities of our lived experience of pastoral ministry. Please contact Matt Boswell (matt@camasfriends.org) for information about registration, costs, and more details about what to expect. Our next Annual Session has been scheduled for May 24–26, 2019, at Canby Grove. Sierra Cascades Yearly Meeting has operated with a good order of Quaker business. Participation is a core value. We also prioritize giving voice to those that have have been overlooked or excluded in the past. From our baggage, there are things we need to learn and things we need to unlearn. Read the rest of the notes here. Click here to read minutes from the meeting. Minutes from our Quarterly Gathering at Eugene Friends Church in October 2018 are now available online. Click here to read those minutes. They may have literally left their nets. They may have “left” some ultimate goals in exchange for participation in Jesus’ ultimate goals. But they brought their wounds. Their self doubts. Their overconfidence. Their tempers. Their skepticism. Their fears. Their noble and/or misguided ambitions. Their limited knowledge. Their lack of experience. Their biases. Their shame and mechanisms for hiding that shame. And Jesus made space for all they brought. He welcomed it and them. He had no illusions about the limitations and growth areas of the people he called. And he called them nonetheless. Quarterly Gathering will be at West Hills Friends Church on Saturday, February 16, 2019. Preregister by sending your name, email address and church/meeting affiliation to registrar@scymf.org. If you are bringing children under 18, please send their names and ages. Please let us know if you need transportation or housing before or after the Quarterly Gathering. West Hills Friends is located at 7425 SW 52ndAve, Portland, OR 97219. Click here for the full schedule. As we learned about the Faith & Play stories, we realized the sad fact that Quaker history in Africa is not properly documented. We want to collaborate with the FTC Kaimosi, Marian Baker, and the Earlham College Archives to document the histories of Quakers in Africa so that we can write the stories of important African Quakers, to share with our children and the rest of the world. Click here to read the rest of the epistle from the Quaker Religious Education Collaborative gathering in Kaimosi, Kenya. Last April, a small group of ministers gathered for rest, play, and mutual support. This group included current and former pastors of Sierra-Cascades Yearly Meeting of Friends (SCYMF) congregations, pastors of congregations who are not members of SCYMF but are engaged in the ongoing formation of SCYMF, recorded ministers not currently pastoring but engaged in the ongoing emergence of SCYMF, as well as partners/spouses of the above. We will once again meet for two days at McMenamins Edgefield, following a structured but spacious schedule that includes professional massages, soaking pool, fireside chats, porch discussions, open worship, and solitude. We intend to create a space for ministers to continue building supportive relationships with each other, to verbally reflect on our respective ministries and receive encouragement, and to listen to how the Spirit is working in our congregations and in SCYMF as a whole. All are welcome, keeping in mind that discussions will focus on the joys, challenges, and possibilities of our lived experience of pastoral ministry. Please contact Matt Boswell (matt@camasfriends.org) for information about registration, costs, and more details about what to expect. Join the Sierra-Cascades Book Club! Want to connect with other folks in SCYMF? Want to read and discuss stimulating topics pertinent to our faith, community, and calling? Join the Sierra-Cascades Book Club! Wess’s recently released e-book is 40 pages, a digest of his full-length book that came out in 2015. The format is engaging with queries, images, etc. I’ve been reading it and it’s stirring up lots of questions and possibilities and a desire to connect with others and see what they think. You can download a free e-book or pdf version here. I’m scheduling the discussions so that we have the opportunity to go deep with the ideas and what they bring up for us. Though there are few pages to read, you’ll find lots to think about! You do not need to attend all of the sessions. Please come to whichever you are able, having read and considered the text through that chapter. Format – We will start with open worship, then introduce ourselves and check in, so that we are welcoming the Spirit and building relationships. We’ll go over some guidelines for our time together, establishing ground rules so that everyone can participate fully. I’ll facilitate using worship sharing, in which everyone has the opportunity to share in response to queries, and worshipful discussion when we respond to one another. If there are over 10 people, we may utilize “break out rooms” to talk in smaller groups. Sign up — Please email Promise Partner (pbpartner@gmail.com) to indicate which of the discussions you plan to join and to receive the emails with the links to the Zoom calls. To participate in the second discussion, contact me by today, Friday, February 1! What inspires their witness for the earth? What are Friends organizations in North America already doing ? Connect with how God is at work in our lives addressing the multiple crises which threaten the web of life. Susanna Mattingly, from the FWCC World Office in London, will also share stories from Friends from around the world, discussing how climate disruption has impacted their lives and how their faith inspires them to take action. There will be both Friday and Saturday sessions, inviting Friends to consider how we are called to work together in care for the earth. We see this as the next step in our efforts at facilitating grass-roots sharing about our common need for caring for the earth. Eugene Friends Meeting is offering a special presentation by Dalit Baum, PhD, who serves as the American Friends Service Committee (AFSC) Economic Activism Director. The focus of her work is on Human Rights. The presentation will be at Eugene Friends Church – 3495 W 18th Ave, Eugene, this Sunday, February 3, 2019, from 5-6:30 pm. Doors open at 4:45. Light refreshments will be provided. Quaker men from churches and meetings throughout the Northwest will gather at beautiful Camp Tilikum, March 29-31. Their 2019 theme is Identifying, Sharing & Living Into Spiritual Gifts. Click here for more information. Sign up — Please email Promise Partner (pbpartner@gmail.com) to indicate which of the discussions you plan to join and to receive the emails with the links to the Zoom calls. To participate in the second discussion, contact me by Friday, February 1! What is your passion for ministry? How do you love bringing light to the world? Inside each one of us is a driving force – a passion for something which brings light to the world. This light bringing can be anything and each of us expresses it differently. One person may love planning retreats, another may love making sure people on the outskirts are brought into the circle and heard, another person may want to do the quiet, behind the scenes work of adding financial numbers. Whatever your passion is, however you want to bring light into the world, we as a yearly meeting want to hear about it so we can support you and give you the help you need. We as a yearly meeting are not here to simply fill predefined roles that keep the organization going but to create an organization that supports our passions and ministries, helping each other with what we are called to do and holding each other when we’re hurting. We want to be a community that celebrates and who is there for each other, always putting people first since we are all a light of loving God. What are you called to do? What is your community called to do? How can we as a yearly meeting help you? As we ponder these queries and hold discussions in our meetings about what we feel called to do and talk with each other about it at Quarterly, we are remembering that being called to do something now isn’t a final answer nor does it have to be one huge idea. It can be something smaller like going to a conference or writing an article on a topic you’re passionate about. Personally, I think God enjoys giving us one step at a time and surprising us with the results as one step leads to another. Whatever you are called to do does not need to fit into any predetermined box. You may have something in your heart no one else has thought of or you may be thinking about things others are pondering as well and we can connect you. We are all called to be God’s light. What are you being called to do today? How can we as a yearly meeting help you take that step? We will be talking further about this at annual sessions but if you have something you want help with now, please send the clerks an email at clerks@scymf.org so we can help connect you with what or who you need to take that step. Eugene Friends Meeting is offering a special presentation by Dalit Baum, PhD, who serves as the American Friends Service Committee (AFSC) Economic Activism Director. The focus of her work is on Human Rights. The presentation will be at Eugene Friends Church – 3495 W 18th Ave, Eugene, on Sunday, February 3, 2019, from 5-6:30 pm. Doors open at 4:45. Light refreshments will be provided. Baltimore Yearly Meeting seeks a Development Director, who is responsible for identifying, cultivating, soliciting and securing new and ongoing gifts from individuals and foundations in support of Baltimore Yearly Meeting’s (BYM) ministries and programs. The Development Director builds relationships and affinity for BYM and for the future of the Religious Society of Friends throughout the Yearly Meeting. Candidates must have a minimum of five years of relevant and successful fundraising experience. Click here for more information. Click here to read their minutes. Announcing the Sierra-Cascades Book Club! Sign up — Please email Promise (pbpartner@gmail.com) to indicate which of the four discussions you plan to join and to receive the emails with the links to the Zoom calls. To participate in the first discussion, contact me by today, Friday, January 18! Frank Granshaw is giving a presentation tonight about COP24 (this year's United Nations climate conference in Poland). The presentation is scheduled from 7-9 p.m. at Multnomah Monthly Meeting and will lead in to a more general discussion about how Quakers can tackle the climate issues we are now facing. To broaden the conversation, they are inviting other Quakers to join them. Pacific Yearly Meeting is accepting applications to fill the full-time position of Youth Programs Coordinator. The role of the Youth Programs Coordinator is to enhance the spiritual development and nurture of youth (“youth” being defined as children, teens, and young adults) and intergenerational community within the Yearly Meeting. The full position announcement, job description, and application process are posted on the PYM website, pacificyearlymeeting.org. The position will remain open until filled, but priority will be given to applications received by February 15, 2019. Sign up — Please email Promise (pbpartner@gmail.com) to indicate which of the four discussions you plan to join and to receive the emails with the links to the Zoom calls. To participate in the first discussion, contact me by Friday, January 18. 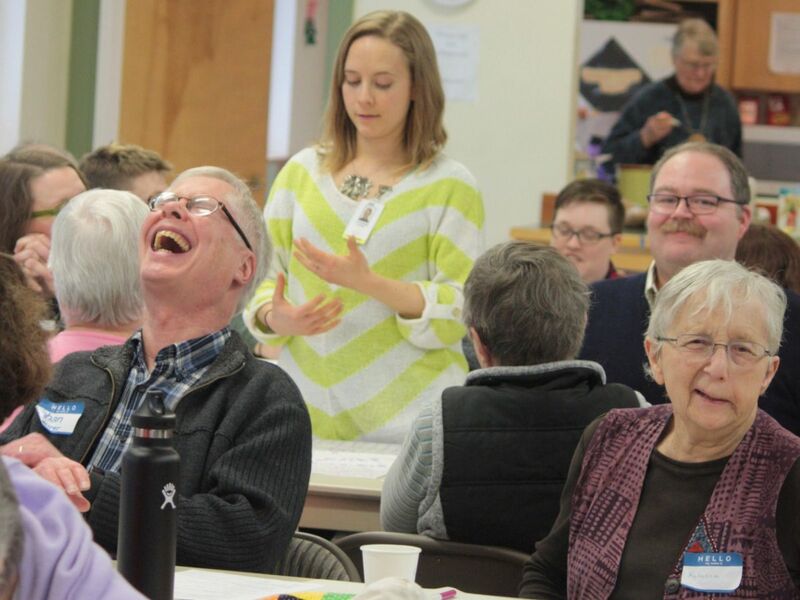 In April 2018, Quaker men from churches and meetings through the Northwest gathered to share our stories and celebrate how the Spirit is working in our lives. We had time for quiet reflection, group sessions, worship, and lots of one-on-one conversations. We ended up making new friends while building bridges across different traditions. Please join us at beautiful Camp Tilikum during the last weekend in March for our second gathering as we once again “find our way” within ourselves and with each other. Our 2019 theme is Identifying, Sharing & Living Into Spiritual Gifts. Click here for more information. Preregister now for the February 16, 2019, Quarterly Gathering at West Hills Friends by sending your name, email address and church/meeting affiliation to registrar@scymf.org. If you are bringing children under 18, please send their names and ages. Please let us know if you need transportation or housing before or after the Quarterly Gathering. West Hills Friends is located at 7425 SW 52ndAve, Portland, OR 97219. The schedule is below. Quarterly Gathering will be at West Hills Friends Church on Saturday, February 16, 2019. Click here for the full schedule and instructions for registration. As Friends, we are at our best when we live the testimonies fully with faith and courage; when we embrace our faith and practice to advocate for truth, justice and peace. Join this conversation to explore how we, as Quaker religious educators, can prepare young Friends to discern, to act and to lead. Join one of the January Conversation Circles on January 22 or January 24. You can see the full set of scheduled conversations here. Registration is required. Click here to see the full announcement. We are inviting you and your church – and SCYMF individual members via video conference – to hold a threshing meeting before February 16th to reflect on the question “What is God calling us to do?” A threshing meeting will help you know how the Spirit is moving in you and others in your church about the theme. It will also enrich the discussion when we are gathered as a yearly meeting for Quarterly sessions February 16th at West Hills Friends. What really pulls at your heart? What about SCYMF makes you smile? What/how do we work together? … and with others outside of SCYMF? What do we already know how to do? What are we – SCYMF – doing better together than we would as individuals, or than as individual churches? Do any specific ministries, services, activities, or spiritual nurture come to mind? Who needs those things that we can do? What do we bring from where we were before SCYMF? What do we miss from where we were? What do you wish we could/would do? What are we in the process of learning? What do we need to learn? Traditionally, a threshing session is held in open worship – all who are gathered listen to the Spirit regarding a question or issue; no decision or minute is required. We encourage you to guide your church in the threshing process with a format that inspires you, that welcomes a variety of styles, and that gets everyone participating. FREE WRITE: Start the threshing meeting with free writing. Provide paper and pens and ask participants to take 10 minutes to write down everything that comes to mind on the queries. No self-censorship, just keep the pen moving. Afterward, they might share with a partner or small group some of what came up in their writing, then bring some of those responses to the whole group. VISUAL EXPRESSION: Provide a table with various art supplies like markers, crayons, collage materials. Invite participants to create a visual response to the query using shapes, color, doodles. Art skills not required! Consider offering three-dimensional materials like clay and playdough, or natural materials like stones, pinecones, etc. Children’s toys like blocks and dolls can also help us to see and create in new ways. Then share in small groups. Learning about your sense of the query comes in explaining the process of creation in response to it (rather than having a finished product). — Or ask participants to work in small groups, and use the materials together to create a response, then share it with the whole gathering. GALLERY: Write each query on the top of one large easel-size sheet of paper and post them on different walls or in different sections of the room. Each participant has a marker or crayon. In companionable silence, the participants move around the room to each query and “talk back” to it, writing comments and questions to the query or to others’ responses. When time is up, give folks time to return to all of the sheets and see how the “conversation” continued after their comment. — As a next step, group the participants and give one sheet to each group. Ask them to discuss the responses to the query. What do they notice? What do they wonder? Then each group shares a summary or highlights of their discussion. PARTNER LISTENING: Everyone finds a partner, ideally someone that they do not know well. The facilitator reads one query. One partner speaks to the other on the query for 3 minutes, the other listens and holds space. Then switch roles. Afterward, move to find another partner with whom you listen/share using the same format. We hope you’ll be creative. If a format energizes you as the facilitator, then that energy will be passed to the group. If you’d like to talk more about any of these suggestions — or brainstorm others — please get in touch with Promise Partner (North Seattle) at pbpartner@gmail.com. She’d love to support you! If you are an independent member of Sierra-Cascades and/or live at a distance from a church and would like to participate, please email Jim Teeters at jim.ata@comcast.net He’s a member of East Hill Friends. He has a special concern for gathering individual members for this question and for fellowship and worship, too. Quarterly Gathering will be at West Hills Friends Church on Saturday, February 16, 2019. The task force for this discussion invites each Sierra-Cascades church to hold a threshing meeting before February 16th to reflect, discern, and listen around this question. These meetings help you know how the Spirit is moving in you and others in your church about the issue. It will also enrich the discussion when we are gathered as a yearly meeting in February. A threshing meeting is about listening to God, oneself, and others gathered; it’s not a meeting to decide and bring a minute. Time is short, especially given the holidays, so please set a date soon that fits your church. Click here to read more about this discussion. As any who have attempted to de-clutter their life know, simplicity can be complicated. It involves tackling not only the accumulation of stuff—those bins of college syllabi, old magazines, childhood treasures—but extra tasks we’ve taken on, organizations we’ve joined, the demands other people make on us, and all the clutter in our minds. I am sensing that only when we live from the center of a life oriented to God can we move out freely into our world as God’s agents of reconciliation and peace. 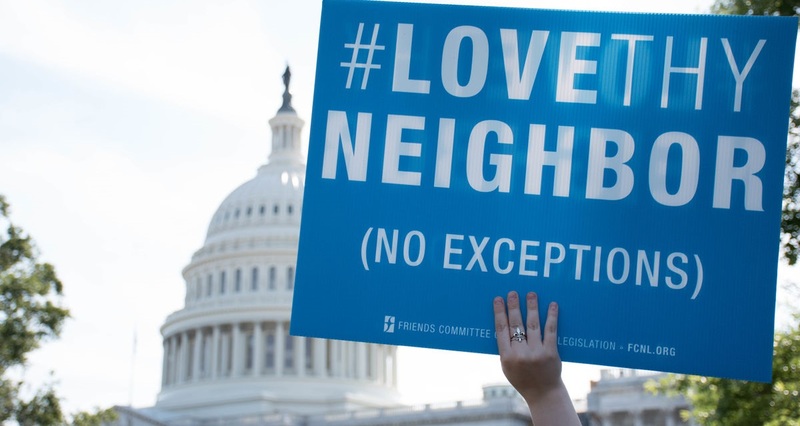 The Friends Committee on National Legislation (FCNL) has carried Quaker values and concerns into the halls of Congress for the past 75 years. Its professional lobbying staff, as well as its thousands of active members, work to represent the views of Friends on such issues as peace building, military spending, gun violence, immigration, Native American concerns, criminal justice, climate change, and economic equity. Lobbying priorities are agreed upon using a discernment process that begins with input from local Friends meetings and individuals, in the spring of even-numbered years (some SCYMF meetings participated in this work this year). From those thousands of proposals, the organization discerns a focus on around ten major issues, which are approved by the General Committee in the fall of that year, to guide FCNL’s work for the next two years. The legislative priorities for the next two years, for the 116th Congress, were agreed upon at the recent annual meeting in early December, and may be found at the FCNL website: https://www.fcnl.org/updates/legislative-priorities-for-the-116th-congress-1760. Shortly after the formation of Sierra-Cascades Yearly Meeting of Friends, FCNL invited us to contribute up to six members for the General Committee, even though SCYMF has not yet made a decision about affiliating with FCNL. Currently I (Tom Stave) am SCYMF’s only formally designated member, so there is room for five more. Derek Lamson and I, both of Eugene Friends Church, attended this year’s meeting in Washington, D.C., November 29-December 2. The annual meeting was designed by FCNL clerks, program planning committee (thank you, Dove John) and staff, not only to facilitate the discernment process, but also to brief participants more extensively on the work of the organization and the substance of the issues. The first two days were given over to FCNL’s “Public Policy Institute,” which focused on the lobbying process, and culminated with actual visits to the offices of Senators and Representatives. Derek and I spoke with staff members for Oregon Senators Wyden and Merkley and Congressman Peter DeFazio (OR-4). We were in the company of other Oregon Friends from North Pacific YM. The particular point of our visits was to urge these members to support a version of the Agriculture authorization bill (the “Farm Bill”) that did NOT include more stringent work requirements for eligibility for “SNAP” benefits. SNAP is the Supplementary Nutrition Assistance Program, formerly known as “food stamps.” You may have read in recent days that the version we lobbied for prevailed. Click here to read the minutes from that meeting.